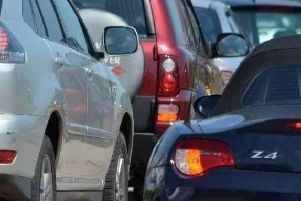 There were major delays on the A47 and Nene Parkway in Peterborough this evening, Tuesday April 11 after a car crash. The crash took place at Thorpe Wood junction of the A47 and Nene Parkway. One car became wedged across the carriageway at the junction. There was heavy traffic westbound on the A47 back to Bretton Gate and on Nene Parkway back towards Hampton. Oundle Road was also extremely congested as a result. Police asked motorists to avoid the area but it has now been cleared as of 6.30pm.